Master key systems are a great, yet simple and effective way to manage a number of properties or access areas within a business. In essence, a master key system is a plan, almost like a key route, where certain keys, maybe just one, can open the doors in which you have specified. And a number of doors at that. Below we’re going to look at just what a master key system is, the different levels of such a system and why you might consider one. We’ve briefly touched on what a master key system is above, but ultimately it couldn’t be simpler. Installing a master key system means you can choose which doors are to be included and have the same one key, which is then able to lock and unlock them all. These systems involve cylinder locks, and you can specify your requirements, such as, do you require single access or multi-key access? Master keys are excellent for businesses, so you’re not carrying around a chunky set of keys all day, as well as for landlords with flats or properties they own within the same complex. For houses in multiple occupancies (HMOs) there can be many different elements to these cylinder key systems. There are options. For example, you could consider a single master key which for a landlord is perfect. However, each door cylinder could then be opened by the tenant’s keys, known, and referred to as, the differ key. This works great for landlords as each tenant has their unique key, but the landlord has overall access for whenever may be necessary. If there is a common entrance to access the building, whether this is to a set of flats or even business premises, you might also consider fitting a cylinder lock to the main door. This way it can be opened by the master key as well as each of the tenant’s keys – sometimes this can be referred to as a common entrance. However, a word of caution from us, sometimes a common entrance isn’t always recommended, and there are safer and more secure systems to choose. Tyne Tees Locks can help with assessments on locking systems as well as recommending what will suit your needs as well as your doors! Before thinking about locking system, you need to consider what your requirements carefully. What do you want the master key system to do for you? Who is going to be the master key holder, is this just one person or multiple? Can you upgrade to multiple users if you need to? How many doors require cylinder locks? Will more be required in the future? Don’t panic if you feel bamboozled with questions and you’re now wondering if a master key system will even work for you. As the number one locksmith throughout the Northeast, we have fitted more than our fair share of master lock systems. Each one as different and unique as they need to be. Call us on 0191 438 6595 to find out more and how we can help you. Everyone’s needs vary. From a single use master key system to a multiple use system, we not only help supply and install all but there is also a range to consider. First is a Great Grand Master Key System. A large key system mainly used in schools or hospitals where depending on your expertise or discipline/level would depend on where individuals would have access. Then we go down a level again to the Master Key. Again, only opening the doors designated and not opening those you have specified to the Grand Master System and the Great Grand Master System. Eventually, you can get all the way down to Sub Masters and then Differ Keys. Depending on the levels in which you operate and specify, will depend on who can access what doors/areas. The most common door cylinder today is the Euro Cylinder Lock, and there is a wide range of these types of locks to choose. For example, you could consider a single or half cylinder where access to the door is only required on one side (they also come in a range of lengths to suit individual doors and furniture). Double cylinder locks or key cylinder locks are when access to the door is needed from both sides – again available in a range of lengths and combinations to suit 95% of makes and models of doors. Conclusion: Which Master Key System is Right for You? Overall you need to think about the level of security you need. Are you looking for something simple, whereby a master key holder and individual key holders can get keys cut at a local locksmith? Or are you looking for something much more secure – a closed or restricted system, where the manufacturer of the cylinder lock will not issue key blanks, and if the key profile is completely restricted, they will also only be available to the Master Key System manufacturer? Depending on your needs as well as a thorough assessment of your properties/business we can help come up with the ideal solution for you. 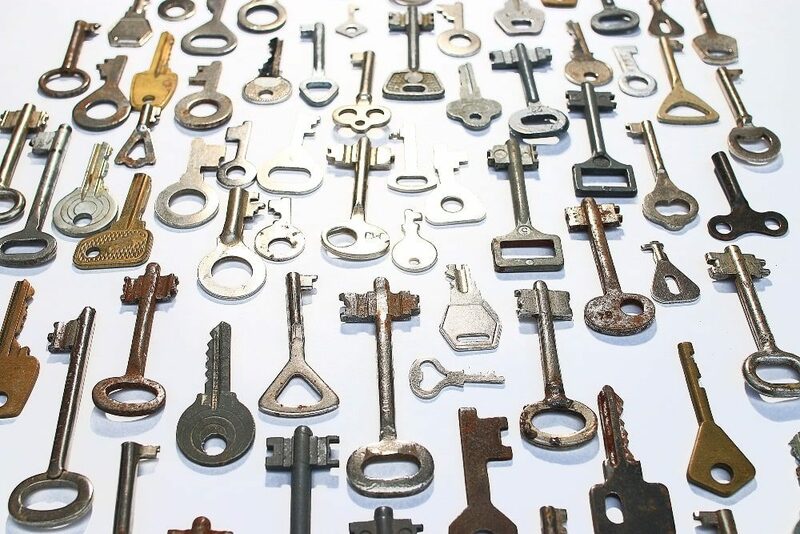 If you’d like to talk with a professional locksmith, someone who is trusted, reliable and who has years of experience with master key systems, give us a call at Tyne Tees Locks today, 0191 438 6595 – we look forward to hearing from you.